A small country with a huge history, including a major role in global colonialization (see e.g. Indonesia, South Africa, Suriname). An early victim of Nazi Germany in WWII, when the country was overrun and occupied for nearly the entire war period. 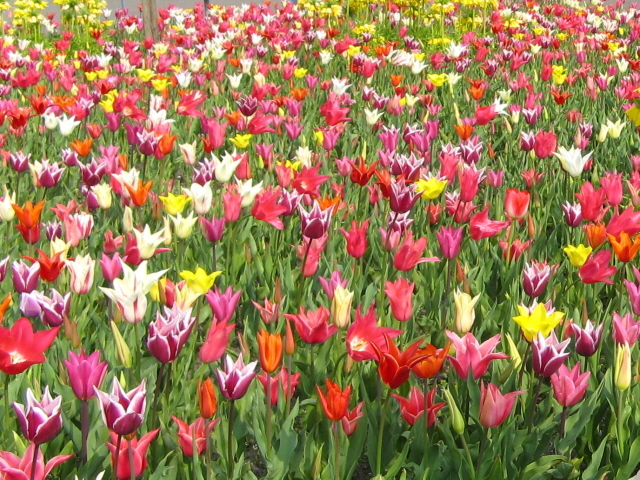 The Dutch dark tourism destinations of today are all related to that time, especially to the Holocaust. 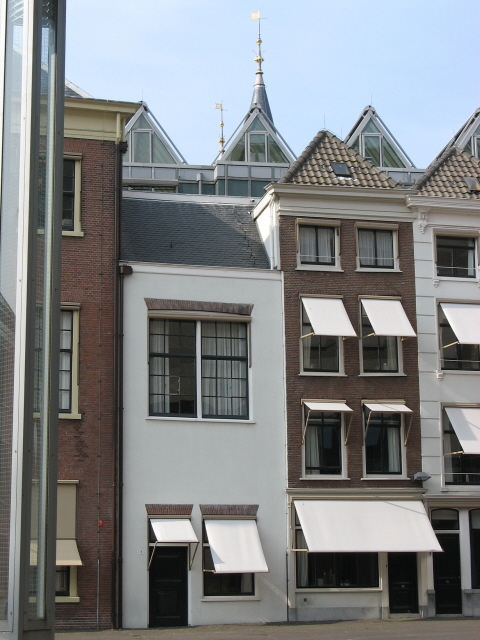 This includes one of the world's premier dark sites by popularity: the famous Anne Frank House in Amsterdam. The other dark sites are more specialist perhaps, but no less worth visiting. 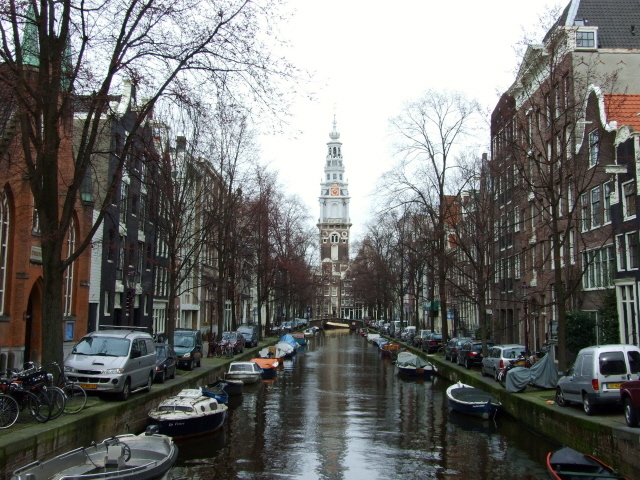 Being such a small and well organized country, travel to and within the Netherlands could hardly be more convenient. 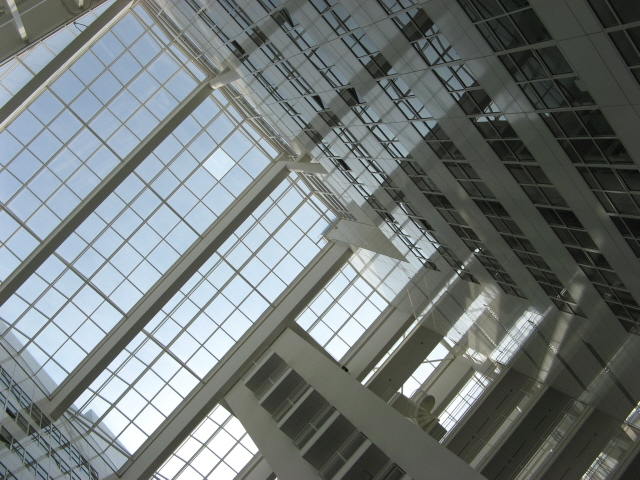 The capital's international airport Schiphol is one of Europe's premier hubs. From there a dense network of trains provide easy and regular connections to virtually any other place within the country. Within cities/towns and even overland, many people prefer the bicycle over cars. But driving too is easy, with excellent roads and superb signposting. 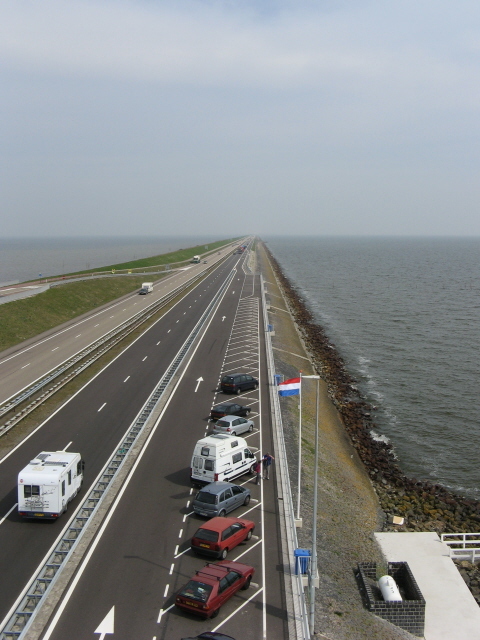 Perhaps the most spectacular drive is on the IJsselmeer dam – a large barrier ca. 20 miles (32 km) long protecting low-lying Holland from the sea – and at the same time aiding land reclamation further south, in the form of the so-called polder. Given the flatness of the land, the scenery isn't all that spectacular (unless endless flats is what you're after), but the countless canals give the rural landscape a certain unmistakable character. In the cities, quaintness contrasts with modernity. The Dutch enjoy a reputation of being well-educated, open, friendly and tolerant … though there may be more myth in that than reality. Firstly, non-Dutch friends of mine living there (or near – over the border in Belgium) fiercely contest that standard image, and secondly, the rise of extreme right-wing parties/politicians in Holland makes you wonder even from afar how justified that assessment of Dutch society may be. As a German I also take issue with the frequently expressed unmitigated anti-German-ness of many Dutch people. But then again, that may be the old small country vs. big neighbour thing (just as it is in my present country of residence, Austria, and the Austrians' own routine anti-German-ness). 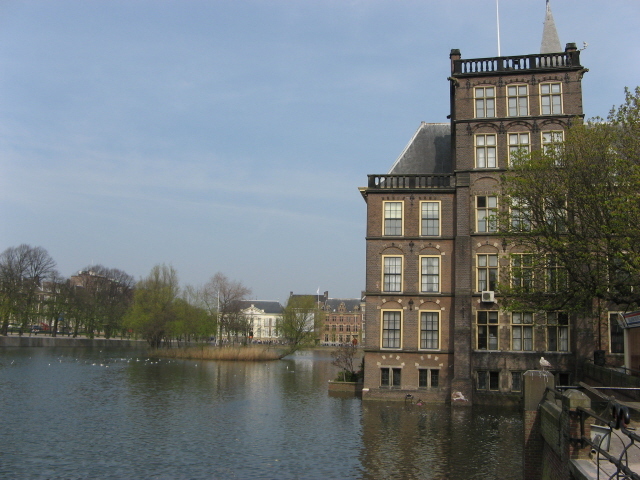 Historically/politically, the Netherlands has gone from one of the world's most successful but also ruthless colonial powers to its present role of the seat of international courts. 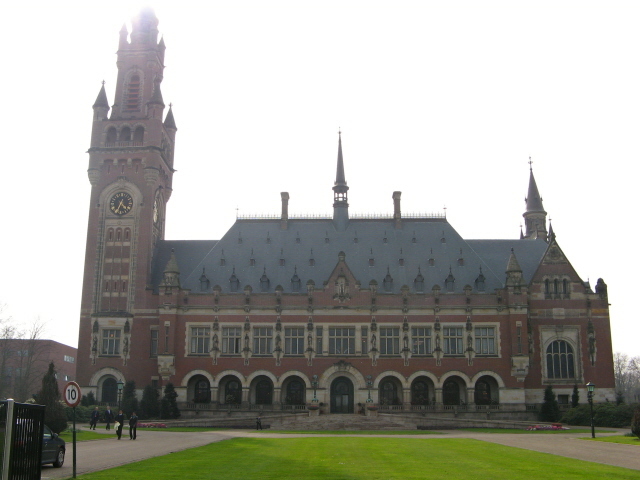 The Hague, the administrative capital city, is also home to a whole array of such courts, including the International Criminal Court andthe International Tribunal for the former Yugoslavia (with Milosevic, Karadzic and Mladic all in the dock there – cf. Bosnia and Serbia). In culinary terms, the contrast between a rich colonial history and comparative blandness of the local scenery is reflected too. Traditional home-gown national dishes include such lame attempts such as Hutspot, a mix of mashed potatoes and carrots, sometimes with pieces of meat (just picture it – it does indeed look a bit like it's been eaten before …). Herring is a classic too – especially in the form of matjes, brined raw filets, which is also rather an acquired taste. 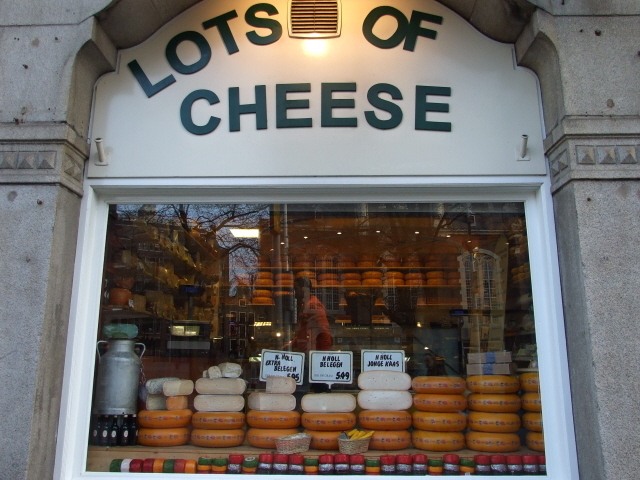 On the other hand, Dutch cheese is world-famous and in this case the reputation is getting more justified, as more farm-made high-quality varieties become available that are leagues above the usual international export Edam or basic factory-made Gouda. 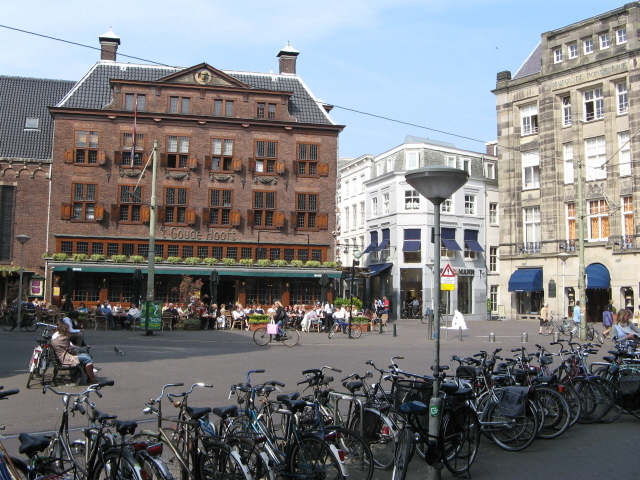 However, it's the colonial influences that give Holland the most exciting culinary delights. The pinnacle of these has to be the Indonesian rijsttafel – not actually common in Indonesia itself, but a colonial legacy from that country all the same. Nowhere else in the world is rijsttafel celebrated more exuberantly than in the Netherlands. 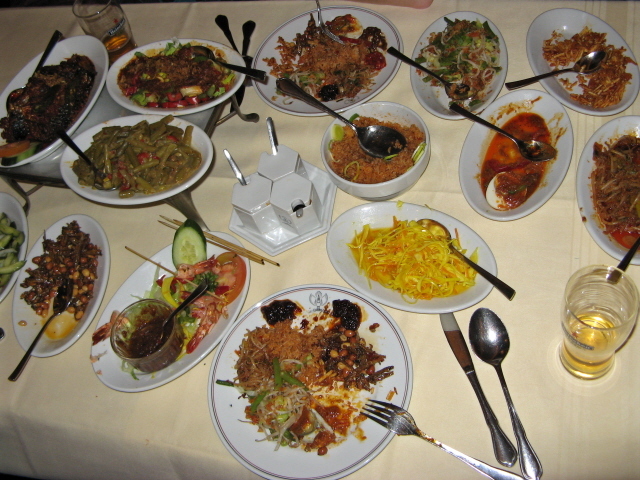 Up to forty different little dishes, ranging from sweet and spicy to fresh and sour, from moist stews to crisp fried finger food. An absolute feast for the taste buds, if done well.